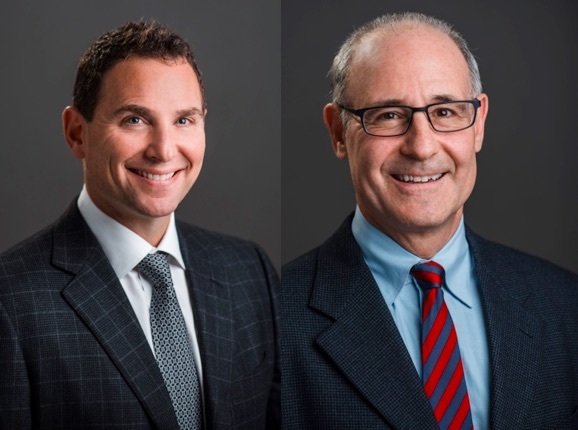 Family Office Insights sits down with Scott Kay, Founder & CIO, and Chris Zellner, Founder & COO & CCO, to discuss high, absolute, risk-adjusted returns for investors through constructing a portfolio of long and shorts in global healthcare securities. Tell us about your background and your company, Asymmetry Capital Management, L.P.
SCOTT KAY: Founder and Chief Investment Officer of Asymmetry Capital Management. I started my career in the pharmaceutical industry, at Pfizer where I held various positions over my 8-year tenure and was involved in the launches of some of their largest selling pharmaceutical products. Then, following my passion for investing I moved into a Research Analyst position for Bank of America Securities (BofA) where I eventually became an II ranked Senior Global Pharmaceutical Analyst. After BofA I joined Andor Capital Management, a multi-billion dollar hedge fund, as a VP, research analyst. In 2004 I became a Founding Partner of Partner Fund Management (PFM), an equity long/short hedge fund, where I founded, along with two others, the PFM Healthcare Fund. In the second half of 2011, I left PFM to launch Asymmetry. I have always had an interest and passion for investing and being an entrepreneur, but coming from a pharmaceutical background, my route managing a fund has been quite different than most. I grew up in an entrepreneurial family and always had a desire to run my own business and the combination of my background in healthcare, being an analyst, and then helping to build a successful and large healthcare fund has served me well as we have grown Asymmetry. My experiences have fostered, what I believe is, a unique approach to healthcare investing and portfolio management. We have an investment philosophy and process steeped in fundamental, deep dive analysis and we employ proprietary tools for portfolio and risk management that have been successful in protecting investor capital. We take very seriously our fiduciary responsibility to our partners/investors and seek to minimize losses while still achieving attractive returns. That is the guiding philosophy behind Asymmetry Capital Management. CHRIS ZELLNER: Founder, Chief Operating Officer and Chief Compliance Officer of Asymmetry Capital Management. When Scott and I met he was looking for someone to run the business side of Asymmetry. He had seen other CIOs build successful firms only to find that they were spending a considerable amount of time running the business and not focused on investing. He wanted a business partner that could manage all the various operational, financial, regulatory and IR/business development aspects of the fund while he focused on doing what he does best, investing long and short in healthcare. With over 25 years of diversified Wall Street experiences; including positions in investment banking, equity capital markets, and prime brokerage at leading firms such as The New York Stock Exchange, Morgan Stanley, Lehman Brothers, and Merrill Lynch, I had built a well-rounded career that seamlessly fit into the role of Chief Operating Officer at Asymmetry. But, no one person can do everything and we have assembled a very capable business team that includes a CFO and a VP of Operations. With this team, and a group of globally recognized service providers, Asymmetry has always had an institutional caliber business organization. Asymmetry Capital Management, which manages the Asymmetry Global Healthcare Funds, was founded in 2012. We launched the Funds in 2013. Asymmetry is designed to deliver attractive risk-adjusted returns to investors by constructing a diversified, global portfolio of equity long/short healthcare securities. The Fund invests across all healthcare sectors, including; Therapeutics (Branded Pharmaceuticals, Specialty Pharmaceuticals, Biotechnology and Generics), Medical Devices, Labs, Diagnostics, Healthcare IT, Insurers and Healthcare Services, to name a few. We are valuation-oriented, long-term investors. We seek investments where our view of a company’s value differs significantly from the current market price and where we can identify catalysts that should close the gap. To do this we employ a rigorous, deep-dive, fundamental research process, which we apply equally to both long and short positions. Individual stock selection operates within a framework of equally rigorous and disciplined portfolio and risk management to protect capital and deliver attractive long-term risk adjusted returns. What is your target investment? •	Asymmetric Opportunities: Assess the probability and magnitude of a gain and determine whether or not it is significantly greater than the possibility of a loss. •	Liquidity: We seek stocks that have minimum average dollar traded per day to avoid getting “trapped” in a position during volatile market environments or a meaningful change in the fundamental outlook. •	Access to Management: Regardless of our position, long or short, we require a dialogue with the C suite, not just investor relations. •	Sector Diversification: While we allocate capital to our “best picks” we are committed to maintaining a diversified portfolio across healthcare sub-sectors. We believe there are opportunities, long/short, in all sectors and that diversification is important from a risk management perspective. Our investable universe is made up of approximately 2,500 global listed healthcare companies. Applying the liquidity and management access filter narrows the universe to 4-500 companies. Asymmetry’s portfolio is typically comprised of 45 – 55 individual positions (20 – 30 long/20 – 25 short). C & S (Calls & Surveys): Represents the foundation of our deep-dive research and includes; meeting with companies, attending medical conferences, speaking with competitors, suppliers, key opinion leaders, regulatory and legal experts, IP attorneys, etc. Surveys help us cast a wider net to gain quantitative and qualitative data to support our modeling and identify trends and themes. M (Models): All our models are proprietary and based on 10 year discounted cash flows (DCF). They are very detailed, tailored to each specific company and include; revenue drivers, P&L, balance sheet, valuation and a multi-scenario outcomes analysis. Our models represent what we know about the company and are the basis for our price targets. E (Expectations): This represents an analysis that is completely separate from our fundamental work. Here we are examining the non-fundamental elements that impact stock price movements. The questions we seek to answer include: What does the stock price tell us? What is the consensus view? What is view of those that disagree with us? Why? As data-driven, fundamental investors we believe that stock prices, over the medium to long-term, must rise or fall based on a company’s operating performance. Markets go through various cycles and when we are in a period where underlying fundamentals are less of a factor in stock prices that can be challenging. The market environment over the past two years has been heavily influenced by macro factors and the flow of funds into and out of different market sectors. We have had to adjust some aspects of our investment process, while keeping to our core capabilities, to adapt to this environment. One of the eternal challenges of successful investing is to balance portfolio risk management (capital preservation) while still maintaining confidence and patience to stick to one’s convictions when market sentiment and performance is against you. A critical difference between Asymmetry and most other equity long/short funds is our expertise in short selling. These are investments where we expect the company’s share price to go down. We fundamentally short individual companies vs. using ETFs, which is what many fund manager’s do. Our short positions are not hedges. We expect our shorts to produce positive returns, the same as our long positions, and we apply the same fundamental, deep-dive investment process to every position in the portfolio. Another difference is our commitment to portfolio diversification and liquidity. We believe there are attractive opportunities, long/short, across all healthcare sub-sectors. Many healthcare funds either by mandate or CIO bias focus on a specific sub-sector or related sub-sectors. Asymmetry typically has 50% - 55% of its portfolio in therapeutic companies (branded pharmaceuticals, specialty pharmaceuticals, generics and biotech) with the other 45% - 50% in non-therapeutic companies (medical technology, diagnostics, healthcare services, labs, tools, payers, etc.). Portfolio liquidity is critical for our process. Healthcare can be volatile and our theses can change quickly. Separately when market conditions are unfavorable we want to be able to adjust position sizes as well as portfolio gross/net exposure quickly with minimal market impact. This is an important aspect to capital preservation. Finally, we believe that the Asymmetry investment process and company culture is another differentiator. The investment process is structured, rigorous and repeatable. It is designed to uncover valuation dispersion – before it’s recognized by others – through the objective analysis of data. Given that our top ten positions frequently represent over 50% of our portfolio we need to build conviction in these positions and our process is designed to do just that. We have a passion for what we do and get pleasure from being ahead of the curve and finding things that other people aren’t seeing. Culturally we believe that better investment and business decisions arise from multiple inputs and divergent viewpoints. We have continuous discussions and debates to test and re-test our investment thesis for current and prospective positions and investment ideas. We have a talented team of collaborative and goal-oriented individuals who love what they do and enjoy working together. This type of positive and encouraging environment is hard to find, we are lucky to have great synergy in our professional home. The Funds’ name is Asymmetry Global Healthcare and you previously discussed asymmetric opportunities, can you be more specific about what is an asymmetric opportunity? An asymmetric opportunity is characterized by a positive return probability that is significantly greater than the risk of loss. A simple long example might be a pharmaceutical company trading at $10/share with $5/share of cash on the balance sheet and with our DCF (discounted cash flow) valuation at $30/share. The concept is applied equally to long and short positions. As a general guideline, we typically target a minimum risk/reward of 3 to 1 for long positions and 2 to 1 on our shorts. Our current investors include high net worth individuals, single and multi-family offices and institutions. What they have in common is an interest, for some an excitement, in healthcare investing. Our investors generally have interest in working with a manager who enjoys doing the deep-dive fundamental work that plays out in the long-term. Healthcare is a large, dynamic sector where individual companies have historically displayed a lot of performance dispersion. That means winners and losers. It is a sector where persistent valuation inefficiencies are driven by complexity and rapid change. Where specialized investment teams able to navigate complex scientific, technological and regulatory environments can identify and capture these valuation differences. We like to work with people who understand what we do and have developed the same level of conviction in our team as we have in our top positions. Our investors are interested in the healthcare sector, and its prospective returns, but recognize that it can be a volatile. They choose to partner with us because we seek to maximize risk-adjusted returns while also protecting capital. Everyone on the Asymmetry team that is able to invest in the Fund is invested in the Fund. Our limited partners are co-investing alongside of us. The current AUM of the firm is $94mm and our capacity is between $700-$800mm. Our intention is to keep our AUM below $1Bn as we believe that with an AUM greater than $1Bn it would be difficult to achieve our annual return target. We plan to soft close the Fund at $500M and then will grow organically until we get to $700-$800mm. A passion and love for healthcare is at the core of our mission. There’s a societal overlay about supporting good companies with innovative products that are changing the world and saving lives – and conversely, voting against companies with underwhelming products or poor management teams by shorting stocks. We believe in supporting solid companies with operating profits that we believe will be greater than consensus expectations and forecasting against poorly run companies with products that do not add value are overly promotional or obsolescent. Essentially, we aim to deploy capital in an ethical way. We have a dynamic team and investment process in place. Our mission is to grow the fund and produce attractive risk-adjusted returns for our partners, investors, and for ourselves. We enjoy working with people we like, doing what we are passionate about and expect to generate outsized returns for our stakeholders and Asymmetry. Both Scott and I have worked for big and small companies over our careers. We are very happy with the team we have built and would be happy to manage and grow Asymmetry for, at least, the next ten years. We love being in this environment with our team and investors. Over the next couple years we could look to add another healthcare fund or two that expresses unique strategies from our core fund. Scott Kay, Founder and CIO, founded Asymmetry Capital Management in 2012. He began his career at Pfizer Inc., then joined Banc of America Securities, LLC, where he covered major pharmaceuticals. He was promoted to Senior Global Pharmaceuticals Analyst and was ranked “Best Up and Comer” by Institutional Investor. In 2003, he joined Andor Capital Management, a diversified long/short equity hedge fund, covering specialty and large-cap pharmaceuticals. When Andor closed, he became a Founding Partner and the Therapeutic Sector Head at Partner Fund Management (PFM), a San Francisco-based long/short equity hedge fund. After 7 years at PFM, he left in 2011 to launch Asymmetry. Scott received his B.S. in Marketing, with a finance concentration, from the State University of New York at Oswego. To learn more information, please reach out to Scott directly at skay@asymmetrycapital.com. Chris Zellner, Founding Partner, COO, and CCO, joined Asymmetry Capital Management in 2012. Chris has over 25 years of financial services experience and has worked for The New York Stock Exchange (NYSE), Morgan Stanley, Lehman Brothers, Merrill Lynch and Bank of America Merrill Lynch. He has a diverse background in financial services, having worked in Prime Brokerage, Equity Derivatives, and Equity Capital Markets. Chris also created the NYSE’s IPO listing business. Chris received his B.S. and M.B.A. from the Stern School of Business at New York University. To learn more information, please reach out to Chris directly at czellner@asymmetrycapital.com.